NOTE! This timeline, all characters refered too and the distinctive likeness thereoff, Marvel, the storylines mentioned and the DC bullet are all copyright and TradeMark 2000 Marvel Comics. Their inclusion in this document does not in any way mean that I challenge the owner's rights. This is a fan-page, made to further the knowledge of, and the interest for, the Marvel line of comics. 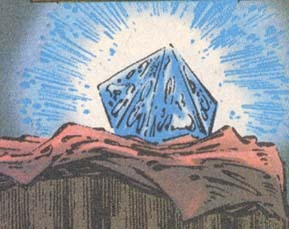 The other characters such as Combo , Whisper, Raziel, Kaos, Succor, Green Bolt, Nocturnus, Sight and many many others (So Seth won't be so picky and lose the paranoia that Marvel Comics would steal those people's Origional characters) are the the property of their various creators and characters. All rights reserved. Characters (C) are the copyrighted property of their creators/owners. Notes on the specifics in the timeline are found at the bottom of the page. The Mysterious Bishop was not to remain a Warrior long. He left immediately after that mission. This early incarnation of the Warriors trained secretly and set about building a base. Warriors Central was completed at the end of the year, Combo stayed for a few months. Ocelot left after a few. The Warriors teamed up with the Avengers to help Hercules from some renegade gods from Olympus. Note: The Avengers rescued Thrasher from the Mole Men while teaming up with them. During Future's early run in, the Absorbing Man became one of the Warrior's Villains. During this period, the Warriors fought such groups as the emerging Mutlant Liberation Force and an entitiy known as Godzilla. Prior to the Arax invasion the new members Nova joined the team. Firestar and Nita. This event was perhaps the most crippling and reforming for the Warriors. During this time. The Warriors grew. Namorita, Lady Lotus (Now Solace), Iron Fist, Ricochet, Firestar and Turbo joined the team. After this, the Warriors entered into a new era of training. Their mission was to make their names well known. Early on they did several missions, including one wherethey healed a little boy who was very sick. Then the Warriors went to Disneyland and managed to bump into one of their top ten Villains, Arcade. One month later the warriors were plague by Future's predictions and the Asguardian the Enchantress again. During this time the Warriors were shaken by internal strife. Nova, Namorita, Lady Lotus (Now Solace), Ricochet, and Turbo left the team due to a reasons. This core group of members formed a team called the Terra Knights and moved their base of operations to the West Coast. Future as well was struck with the deadly AIDS Virus and was forced to leave the team. ( Note: See File on the Enchantress) During this time, The Warriors underwent a restructuring period. The Warriors found an influx of new people joining. Green Bolt and Succor were the first two During this time, Jacob Jermish, Future's cousin, Sight, was given a combadge and the location of the base by Future. He was welcomes to the team, though is attendance was sporadic due to a heavy drug addiction. During this time John Faust, Warrior Public Enemy Number#1 escaped from the vault and stole a valuable set of AIM Weapons, which could do any number of things. During this time, the team was joined by Fade and the Mysterious Samurai woman known as Lady Deathstrike. After the Showdown with John Faust, which took place in NYU Stadium, Fade and Lady Deathstrike departed the team. The Warriors faced a terrible threat from outside their numbers, In tracking down a drug bust, they entered a room where they discovered several dead undercover officers. The press arrived. It was a set up. Shortly after this, Cloak left the team. After a shaky reunion and return the public eye, the Warriors began to grow. Secretly, Iron Fist, began to take on many new recruits out of his dojo. Specialized training of specific students was begun for mysterious reasons. Sundowner, Fyrestorm, Overload and Lifeline were the first people to begin taking lessons. Gwen Namura, also began training under Iron Fist becoming one of the Warriors secretive allies. 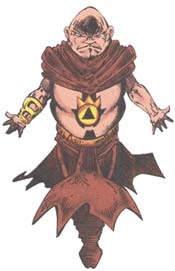 As early at July, Quicksiver was hanging out in the dojo, an old friend of Iron Fist under the Pseudonym of Walter Silvus. Iron Fist took Cloak, Quiksilver, and Green Bolt , below the streets of Chinatown to meet a group of monks known as the Wei-Lo. These monks were being threatened by an unknown force called the Naga. An ancient Demon. The Mutant, known as Jenny, or Revoke was also a friend of Iron Fist's living occasionally in the Dojo. The Mutant Known as Luxor was also visable, but he kept his distance as well as Raziel and Kaos who were just making themselves known. Iron Fist , recieved word from K'un-L'un the extra dimensional city that his group would have to come as ambassadores. There was some problem with the gate. Making ready, Iron Fist went to K'un-L'un on a scouting mission taking Green Bolt , himself, Grizzly and Xyber to inspect the gate which was intact, and were able to send a message through the gate. 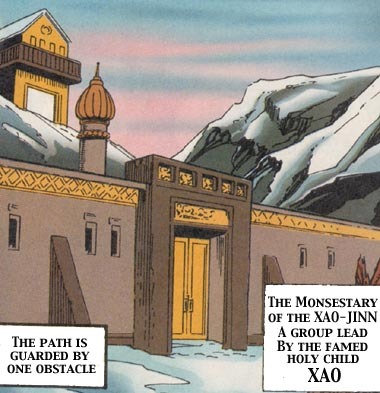 The scouting team at that point encountered a young boy known as Xao, who happened to be the head of the Xao Jin Monestary, a gate, guarding the way up the the Gate leading to K'un-Lun. One afternoon around noon, Quiksilver, and Green Bolt encountered the Knights of Wundagore in an Alley behind Rand-Kai Dojo. The Knights were very secretive, but claimed to be on some sort of mission. The Knights said they would get back in touch. During this time, the efforts of Iron Fist to cure the mutant known as Revoke continually failed. His mission seemed hopeless. Preparing to go to K'un L'un, Iron Fist took special care to prepare a back up plan. Summoning the spirit of tne Anomoly Gem, Tath-Ki, the contemplator, Iron Fist, put together an undercover group to follow the warriors to K'un-L'un and guard their backs. The Warrior strikeforce/ambassadore consisted of Succor, Green Bolt, Iron Fist, Night Thrasher, Grove Grizzly and Grove. The Undercover group consisted of Quiksilver, Whisper and Overload who posed as K'un-Lun peasants. A vast conspiracy was underway. The warriors, with the help of Lord Fukiyama and Lei-Kung, the Thunderer, discovered the conspiracy and stopped the war. The conspirators were Kino Kim, the emperors warlord a noble lord, Dai-Lin, the emperor's chancellor and Lord Sumen, the emperor's secretary of state. Dai-Lin was the Back rose and was using the power of mind control to control the young Xao. During the initial fight, Iron Fist was wounded by poison and in truth, he died. Before dying, he passed on the power of the Iron Fist to Green Bolt who had to climb the mountain of K'un L'un to save Iron Fist life. This was undertaken and the jade cup was found, allowing the warriors to meet Shou-Lou, the great dragon spirit that resides in Iron Fist's heart. After returning home Whisper , Overload, Fyrestorm and Luxor were made reserve members and Firestar was appointed Reserve Team leader and in charge of training. Iron Fist was made field commander and in charge of recruiting. The Warriors were called to Dallas to supervise a routine expirament conducted by the Taylor Foundation. Attending was Succor, Green Bolt, Iron Fist, Night Thrasher and Sight. During the expirament a portal to another world was open and the Warriors were also trapped underground in Dallas. The reserve team: Whisper , Overload, Fyrestorm, Grove and Luxor were instrumental in digging the other warriors out of the Dallas Facility. The Warriors faced off against an Alien Hive creature and detroyed it. Upon Returning home, the Mutant known as Jenny had been caught in several problems with the authoritities including the murder of Sue Samson. In a last ditch attempt to help her, Iron Fist went to the Avengers for help and was eventually helped, though Jenny nearly died in the amount of time it took to save her. Sight, in an attempt to help her, lied to the police. When found out, the Warriors kicked Sight, off the team for a a short period of time. At this time Lifeline, Nocturnus, Raziel , Sundowner and Kaos were invited to be reserve member. After a few missions the recruits began to settle in. During this time, Iron Fist was still waiting for the Avengers to finish the syrum to help the mutant Revoke. The cure took too long and because of it. Revoke, nearly died. Sight, eventually returned to the team, but sadly, the damage had been done, Jenny nearly overdosed and was then incarcerated for a length of time in in the hospital. Shortly after this she was broken out of the hospital by her gang, who then hooked her again on Coccaine, making everything that had been done to help her a complete waist of time. At this point, the members of the Warriors who had agreed to help her, turned their backs on Revoke. During the month of November Luke Cage (Power Man) Resurfaced in Harlem. Iron Fist invited him to join the Warriors and he agreed to in an Advisery Capacity. After a much needed Period of rest and therapy, Sight returned to the Warriors, but with terrible news. Like his cousin he had caught HIV from a bad needle Sight, requested to leave the team, but the warriors asked him not to and he agreed to stay. The most shocking revelation happened when Night Thrasher , Iron Fist, Quiksilver and Succor encounter a Cheetah like Creature in New Jersey, resembling the Knights of Wundagore or a "New Man." The Terra Knights disband in California. The Warriors encounter Klaw the Master of Sound, who blasted Whisper so bad she lost her symbiotic power for a while. With Another Clue, the Warriors head to Nevada where they discover another Knight, work alongside Wonderman and fight a sentient plant. (Note: The Sentient Plant was genetically engineered). The Warriors discover that a shadowed man, has stolen something from Wundagore.